Sometimes a bride-to-be just wants a little sparkle without the guilt. Worry no more, our gem-loving friends. Ivanka Trump (yes, daughter of the Donald) has launched a collection of sustainable bridal jewelry made from conflict-free diamonds and recycled platinum and gold. Produced in collaboration with Waldman Diamond Company, the 12-piece line of wedding bands, engagement rings, and earrings features diamonds from the Diavik and Ekati mines in Canada’s Northwest Territories. True to the Trump name, only couples of means need apply. A band with 0.39 carat-bead-set diamonds starts at $3,500, but a bilevel medallion stunner, encrusted with 6.81-carat diamonds and a round 2.01 carat center stone, can cost as much as $130,000. With their flawless design, these baubles don’t compromise luxury for sustainability. “As a young luxury brand I believe we have the opportunity and the responsibility to look into the multitude of ways we can build ourselves into a truly socially engaged and responsible company,” Trump tells WWD. All diamonds are mind in compliance with the Kimberly Process, which seeks to end the conflict-diamond trade. All of Trump’s diamonds are mined in compliance with the Kimberly Process, a joint government, industry, and civil venture that seeks to end the conflict-diamond trade, as well as foster peace in areas that have been devastated by years of contention over illicit stones. We commend Trump for lending her name and impeccable taste to the environmental movement in such a manner. She’s also opening up the eyes of a whole new demographic—namely, folks who can shell out more than the cost of an electric car for a symbol of marital fidelity—to the world of classy, sustainable style. You can have your diamonds, if you must, and be green, too. 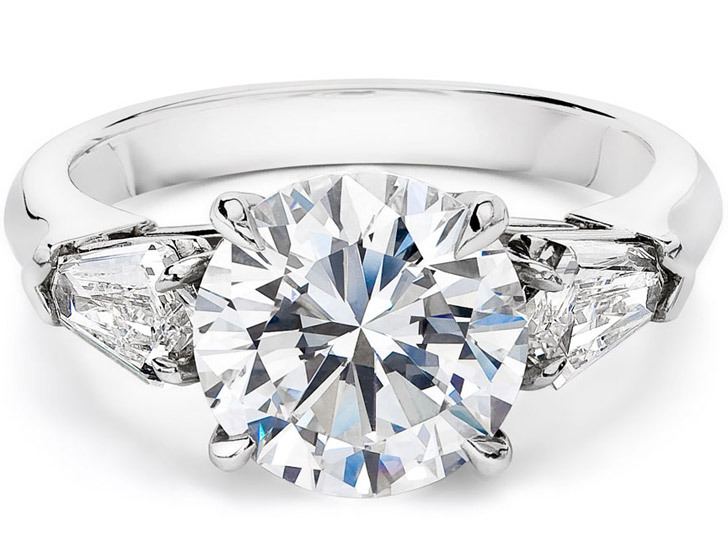 Sometimes a bride-to-be just wants a little sparkle without the guilt. Worry no more, our gem-loving friends. 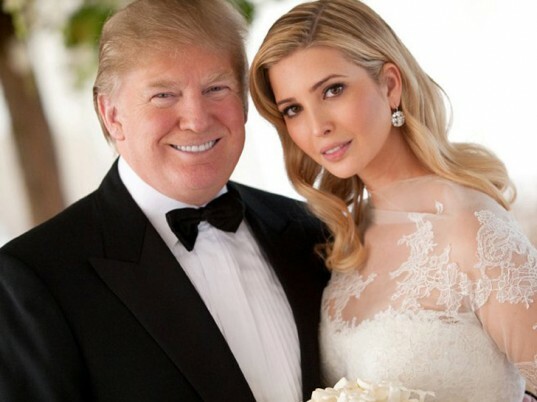 Ivanka Trump (yes, daughter of the Donald) has launched a collection of sustainable bridal jewelry made from conflict-free diamonds and recycled platinum and gold. Produced in collaboration with Waldman Diamond Company, the 12-piece line of wedding bands, engagement rings, and earrings features diamonds from the Diavik and Ekati mines in Canada's Northwest Territories. True to the Trump name, only couples of means need apply. A band with 0.39 carat-bead-set diamonds starts at $3,500, but a bilevel medallion stunner, encrusted with 6.81-carat diamonds and a round 2.01 carat center stone, can cost as much as $130,000.